Bernard Piris studied at the Marseille Conservatoire with René Bartoli and Anthony Bailes, where he was awarded the Gold Medal for Guitar. He is currently professor of guitar at the Conservatoire of Tricastin, in the Drôme region of France. As well as an author and scholar he is also a distinguished performer who has played recitals in many countries. This is indeed a broad canvas explored with excellent scholarship and a thorough commitment to Sor’s music. Bernard Piris raises many interesting questions (such as whether Sor ever listened to the music of Domenico Scarlatti! ), and traces the emergence of Sor’s guitar from a somewhat unhelpful tradition in Spain where the instrument was intertwined with popular music. Each chapter is introduced by elegant quotations from a wide range of writers setting the scene and providing useful perspectives to the issues under consideration. The classical guitar needs more studies of this kind. Over the last forty years much research has been undertaken into almost every area of guitar history since the vihuelistas of the 16th century. 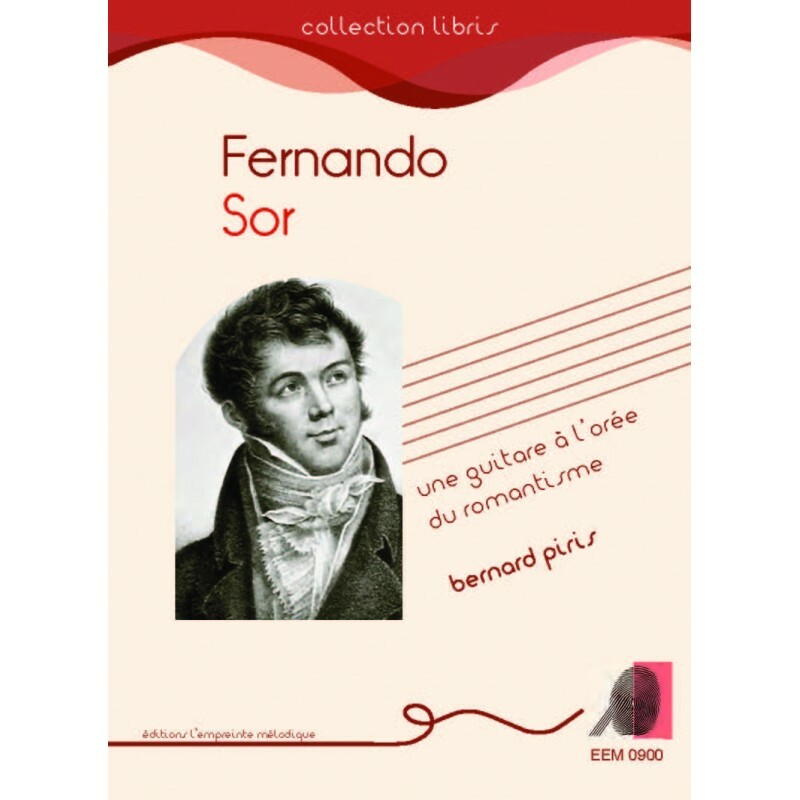 Gradually the significant gaps are being filled and this book explores in depth valuable aspects of the 19th century guitar as well as some of the obscurities around Sor’s compositions. 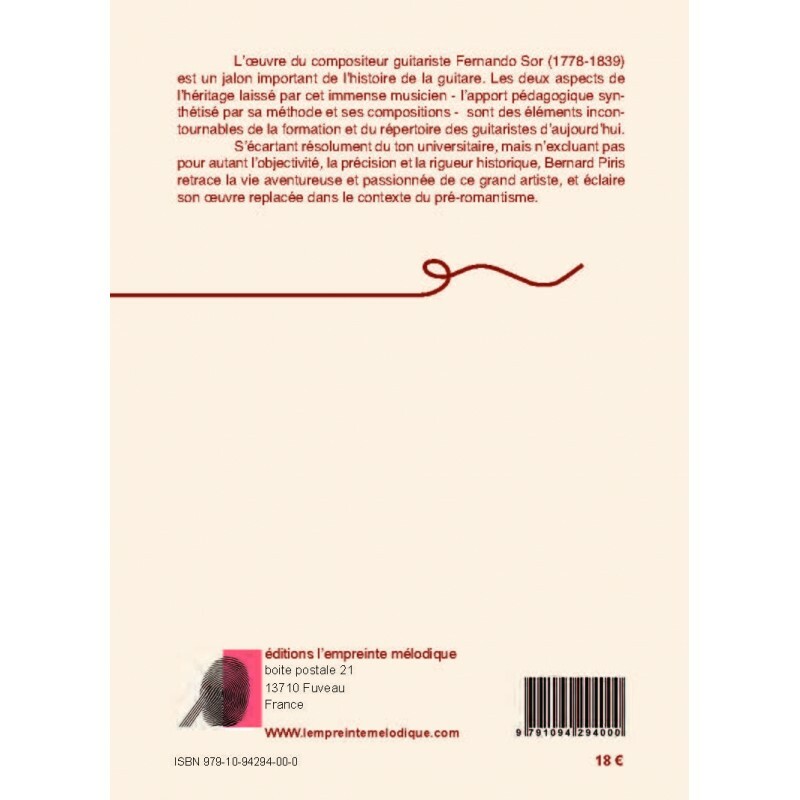 The book is so far only available in French but for those who know something of the language this may not be insurmountable - Piris writes in an elegant and lucid style far removed from any kind of academic jargon. One hopes that an English translation will be undertaken, expensive though such a task may be. I thoroughly recommend this book as a thought provoking statement on Sor’s creativity from a French standpoint. As most of the composer’s best guitar music was written in France, this is wholly appropriate.